Does "Check Engine" mean transmission problems? Will I have any extra costs when repair is complete? Does your transmission repair shop repair standard transmissions? What does transmission fluid do - why is it important? Transmission flush - Do I need to change my transmission fluid? What if transmission is slipping? What is the planetary gear set in my transmission? What are transmission sensors and what do they do? What if "Check Engine" light comes on? and reliable transmission repair shop with a Better Business Bureau A+ rating. The Lake Worth Transmission Repair Shop serving Lake Worth, Palm Beach, Palm Springs, South Palm Beach, and Green Acres Florida has Palm Beach County’s top staff of well trained certified transmission builders and mechanics who diagnose, replace, repair and rebuild automatic transmissions and standard or manual transmissions car and truck transmissions at our high tech shop. 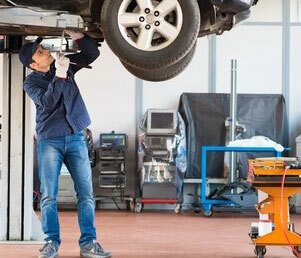 We specialize in diagnosing automatic and standard transmissions and repairing defective and worn out transmissions, custom rebuilding of automatic transmissions and maunal, replacing components and exchanges as well as providing your vehicle with a complete maintenance schedule to keep you car humming along for years to come. The Lake Worth Transmission Repair Shop also provides free estimates and consultations, towing your disabled car to our shop, and free rides to pick up your car after it has been repaired. We always use the highest quality parts for your car and stay on top of the latest updates and improvements to parts and components in the transmission of your model’s vehicle. Our transmission and rebuilding shop has state of the art equipment so that your car or truck gets repaired with precision accuracy and reliability. We have been in business since 1989 and our professional staff has over 70 years combined experience in Palm Beach County. Our shop manager Jorge has decades of experience in the business as an owner and transmission expert. We provide complete warranties on our repairs. 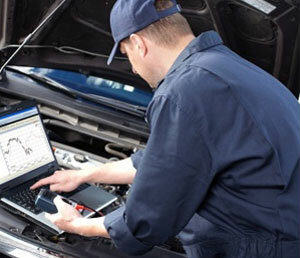 The Lake Worth Transmission Repair Shop is your one stop shop for all your transmission repair needs. Our ASE certified auto technicians are reliable, experienced, and prepared to show you why we are Palm Beach County’s best transmission repair shop. Your service will be expedited with quality workmanship and professional service so that you will become one of our thousands of loyal customers and tell your friends about us! 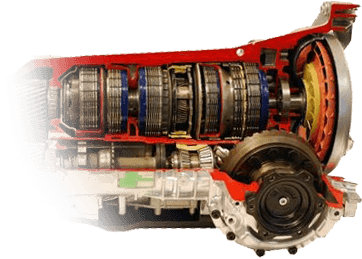 We are a proud member of ATRA (Automatic Transmission Rebuilders Association). We are also members of ATSG (Automatic Transmission Service Group).